Posted: January 6, 2010 8:38 p.m. 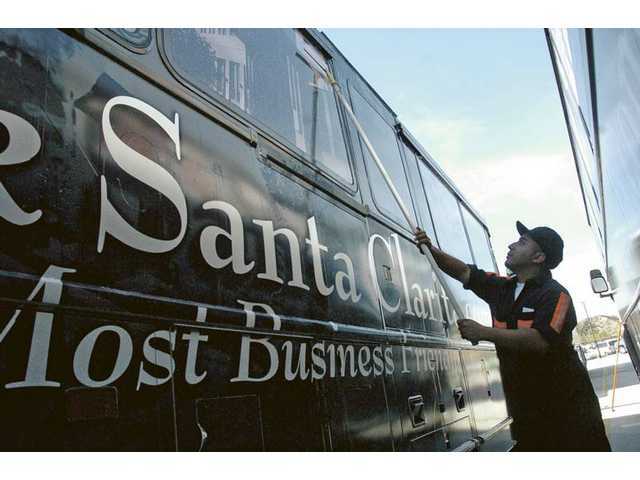 Updated: January 7, 2010 6:30 a.m.
A Santa Clarita transit bus with the new Think Santa Clarita paint scheme is dried by utility worker Ronald Joma after going through the automated bus wash at the City of Santa Clarita Transit Maintenance Facility in Santa Clarita on Wednesday. 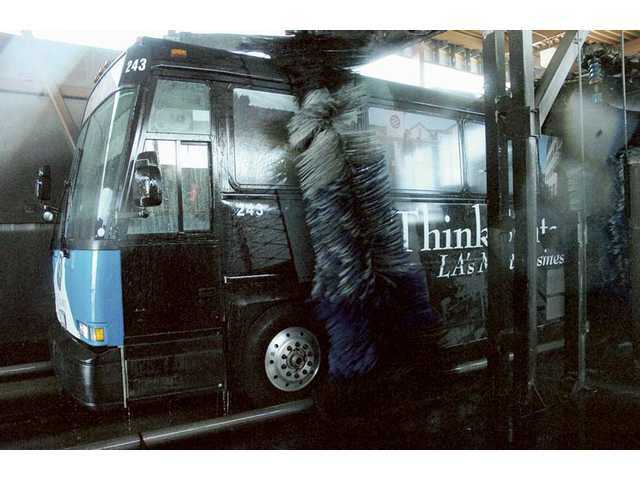 A Santa Clarita transit bus with the new ThinkSantaClarita.com paint scheme goes through the automated bus wash at the City of Santa Clarita Transit Maintenance Facility on Wednesday.